Congratulations 2018 Local Chamber Grant Recipients! Congratulations 2017 Local Chamber Grant Recipients! The USHCC Foundation has partnered with Wells Fargo to provide $100,000 dollars in funds each year directly to chambers across the country for existing programs that strengthen and foster the growth of small business communities. Multiple grants ranging from $20,000 to $5,000 are awarded to local chambers who continue to serve their members and local business communities. These funds have supported a variety of programs, spanning from empowering entrepreneurs, promoting green energy, and advancing diversity and inclusion. Must be an existing program targeted toward strengthening small business members. Recipients must be willing to provide progress reports and present at the USHCC National Convention describing the use of the funds and updates on the program. Recipients will also provide a final report at the end of the grant cycle. Must be a current dues-paying member of the USHCC. 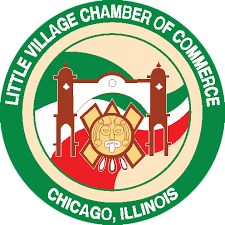 Illinois Hispanic Chamber of Commerce: Coaching for Growth program!